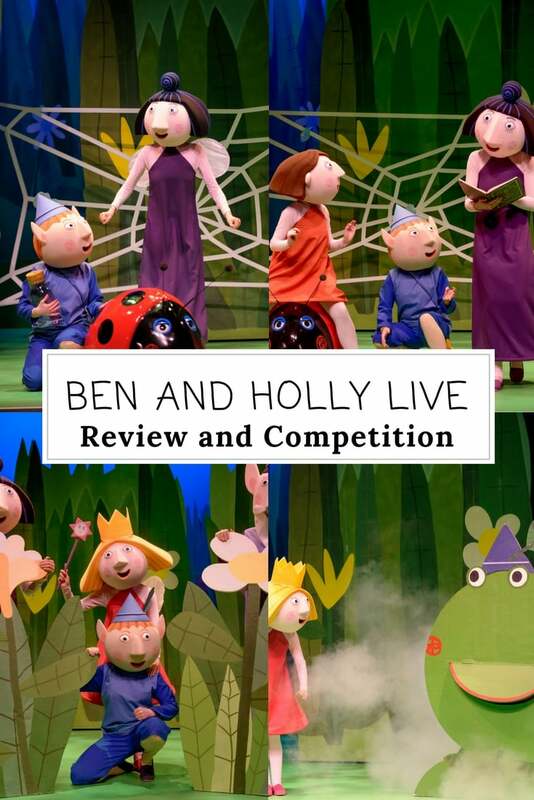 Ben and Holly Live – Review and Win tickets! Ben and Holly’s Little Kingdom is a firm favourite with everyone in our household, from the youngest to the oldest. It has everything a cartoon needs to capture the imagination. There are catchy tunes, genuine humour and a touch of magic and whimsy. 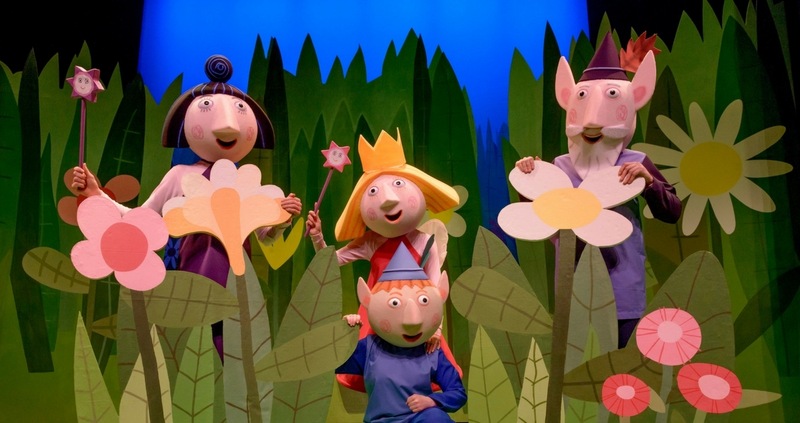 Ben and Holly Live seeks to capture that adventure and charm on the stage. 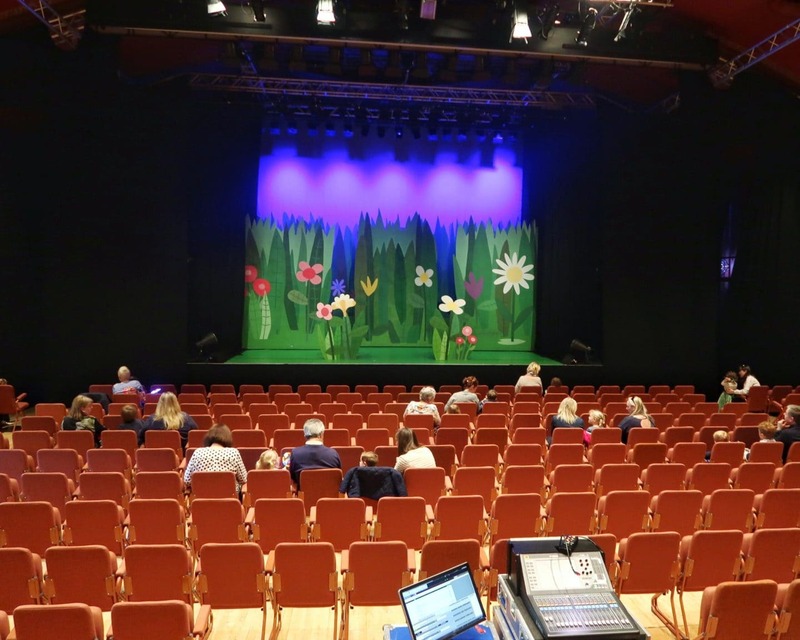 We went to see Ben and Holly Live at Malvern Theatres yesterday and we were not disappointed. 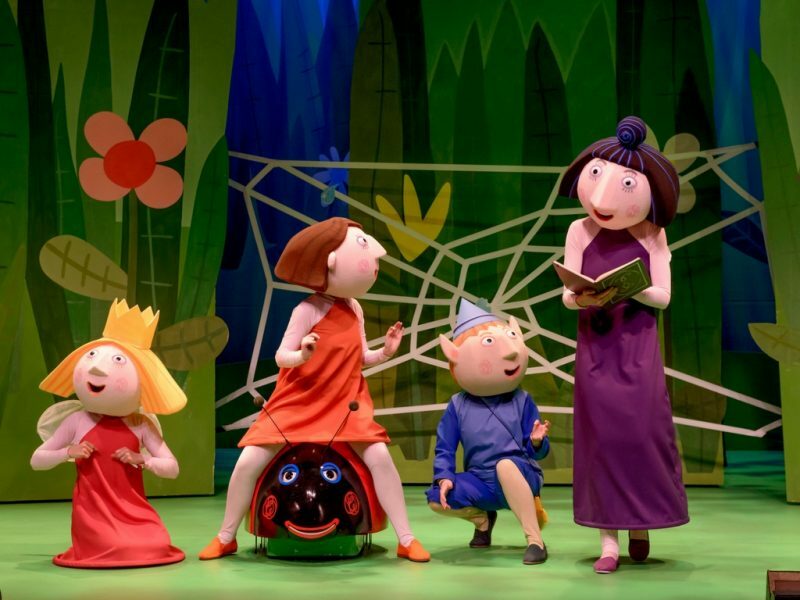 Two families have the opportunity to win tickets to Ben and Holly Live at a theatre near them AND a meet and greet with the characters after the show. Check out the Rafflecopter at the end of the post to enter. Biggest is a huge Ben and Holly fan, as last year’s birthday cake reveals, but we were a little nervous about taking him to a live performance for the first time, particularly as he has autism. We needn’t have worried, as Biggest was absolutely enchanted. I have rarely seen him so excited or happy outside of the home. His little sister was also captivated by what she saw and spent the whole time dancing and pointing excitedly to things she could see on the stage. The show was the perfect length for smaller children – I would say five and under. The bright colours, interaction and music kept their attention throughout and had a break at just the right time. The staging was simple but effective. A particularly charming part was the flight back to the little kingdom from Lucy’s bedroom, which used puppets, smoke, and darkness, to create the effect of flying. Biggest and Littlest gazed on in wonder and, even though I am sure they must have seen the odd glimpse of the stage crew moving the puppets too, their expressions suggested they believed in the magic wholeheartedly. Another favourite was the jelly flood, which they achieved with such simple props as vivid lighting and some red fabric. However, the characters’ physical acting was such that the event had all the humour and drama of a jelly floods in the cartoon series. Biggest has always loved a jelly flood and when one happened on stage I thought he would burst! He shouted along to the spell to make it stop “Thunder and lightning, west wind blow…!” It was a real treat to see him so joyful and animated. I would sincerely recommend Ben and Holly Live as a great afternoon out for anyone with smaller children. The stage version misses out a little of the sarcastic humour that makes Ben and Holly such a hit with adults, but I think this was entirely appropriate for the live version. The focus was on magic, colour, and music and the result was a room full of mesmerised pre-schoolers. This is the perfect way to introduce your little ones to the joys of theatre. Two families can win tickets to see Ben and Holly Live at a theatre near them. The prize also includes the opportunity for families to meet the characters after the show. Please note, however, meet and greet options are only available at the last show on the first day of performance at each theatre. The winners can pick any theatre on the tour. In addition, Please make sure that the dates you wish to attend are a minimum of two weeks after the closing date of the competition, the 23rd of March. Family tickets include two adults and two children. What is the name of the ladybird in Ben & Holly’s Little Kingdom? Good luck! We hope to see you in the little kingdom very soon. Fab review! 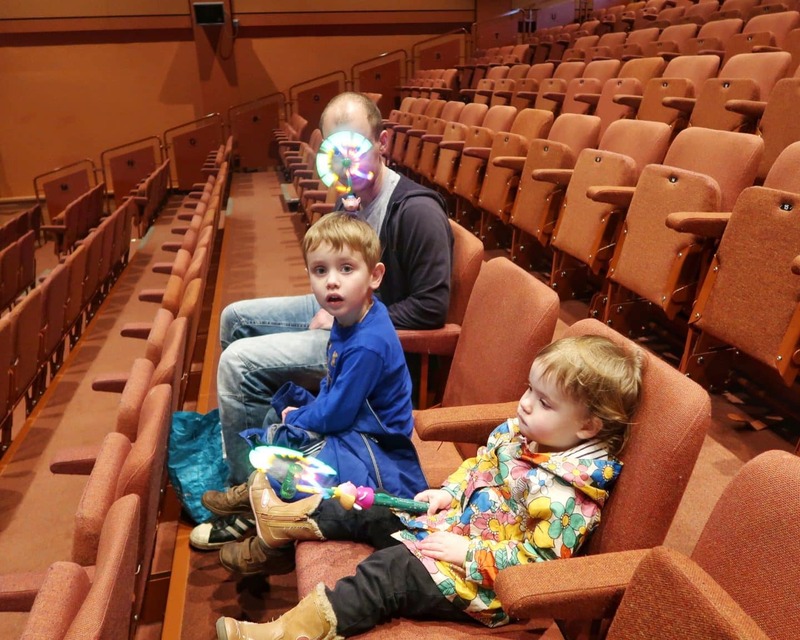 Ive been thinking about taking my two to see a show this year – it would be their first trip to the theatre – maybe Ben & Holly would be the perfect option for them! Great review. We haven’t ventured into the world of Ben & Holly yet but I think my son would enjoy it. Lovely prize for your competition too!